Mexico has taken the hamburger and done some wonderful things with it. The Mexican burger is an incredible delight; it takes everything great about the traditional hamburger and adds some of that fantastic Spanish kick. There are many different types of Mexican burgers; here at Mexicali we offer both a BBQ Baja Burger and a Fajita Burger. Want to try making a Spanish burger yourself? Check out this recipe for Bobby Flay’s Spanish Burger with Pickled Shallots, courtesy of the Food Network! Add the harissa and garlic and cook for 1 minute. Remove from the heat, cover and let sit 1 hour to allow the flavors to meld. Bring the vinegar, sugar, salt and saffron to a boil in a small saucepan set over medium heat; remove from the heat and let cool for 10 minutes. Put the shallots in a small bowl, pour the vinegar mixture over, cover and refrigerate for at least 30 minutes and up to 24 hours. Combine the mayonnaise, harissa, smoked paprika, piquillo peppers, anchovy and lemon juice in a blender and blend until smooth; season with salt and pepper. Heat the oil in a small saute pan over medium heat until it shimmers. Add one slice of the prosciutto at a time to the pan and cook until just crisp. Combine the chuck and fat in a meat grinder and grind coarsely into a large bowl (or put the 80/20 beef into a large bowl). Mix in some salt and pepper. Divide the meat into 4 equal patties. Heat a cast-iron pan over high heat until smoking. Add the canola oil and burgers and cook until the bottoms are golden brown and a crust has formed, about 4 minutes. Flip over and begin brushing and basting with the spiced butter. Cook until the bottoms are golden brown and the meat is cooked to medium, another 4 minutes. Top the burgers with the fontina, add a little water to the pan, cover quickly and cook until the cheese is completely melted, about 1 minute. And that’s how you make delicious Mexican Burgers! 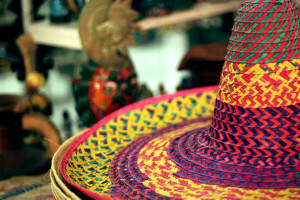 If you want to learn how to make more delicious Mexican dishes, check out our blog. If reading this just made you hungry but you do not want the work in preparing food for yourself, stop into Mexicali. We have locations across Massachusetts and always satisfy our customers.